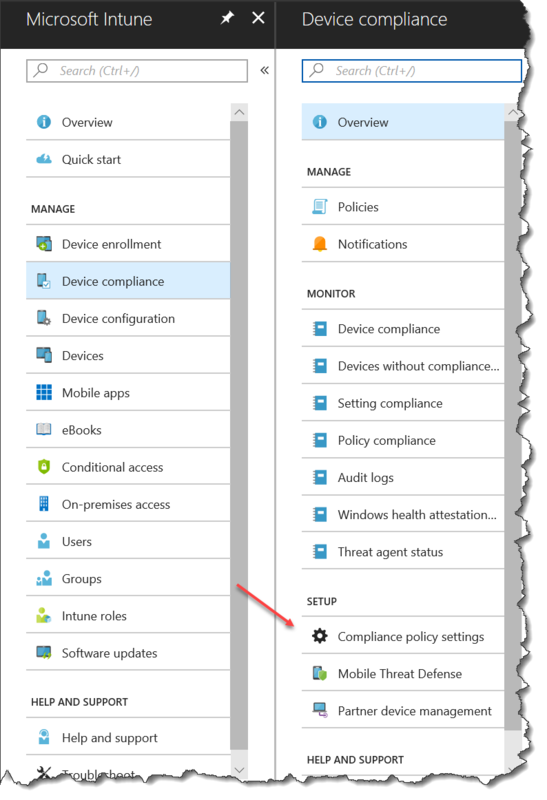 This post by David Papkin is about the Windows Intune new conditional access compliance settings in Windows 10. 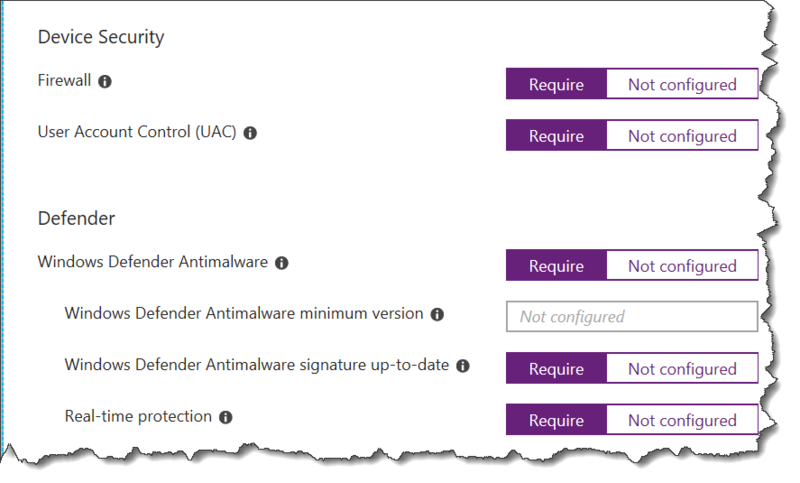 Microsoft is constantly improving the features in the Intune Service – this applies also for the Conditional Access part, with the latest update for Intune in March 2018 we got some new compliance settings that we can check for. 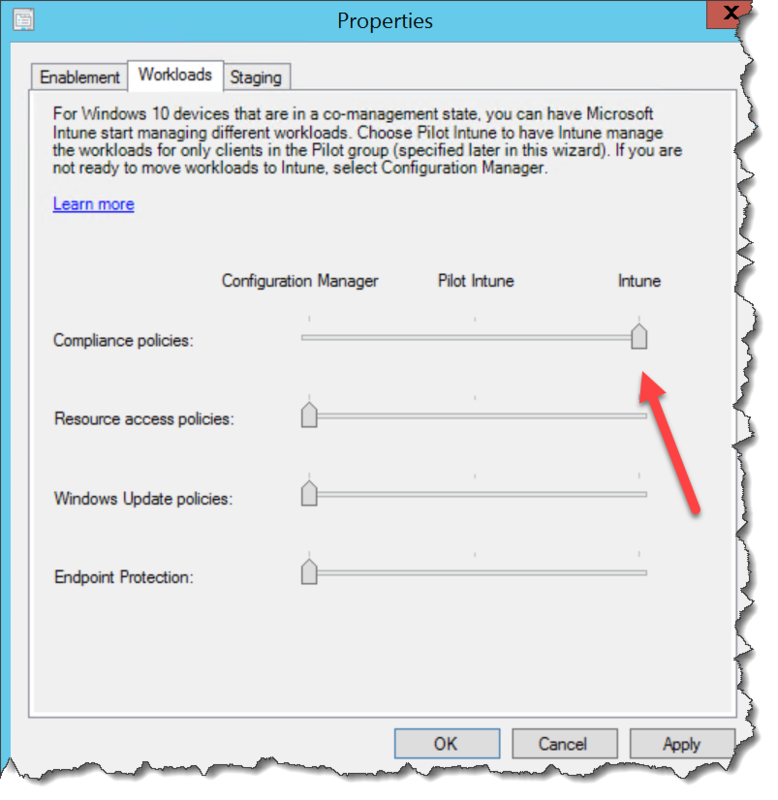 This settings will apply both for AzureAD joined devices that are MDM managed with Intune – but also with Windows 10 devices that are hybrid AzureAD joined with SCCM co-management. 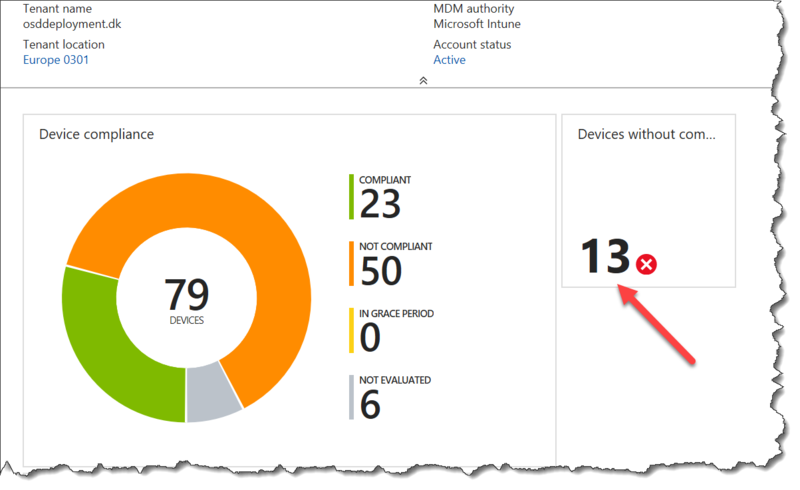 If you have not already planed, tested or deployed Co-management now is the time, one of the first workload I’m moving away from SCCM is Compliance Policy to benefit from the easy way of making Conditional Access in Azure, like the new policy covered in this blog post. The only two things you need to get this working with co-management is enable co-management and move the workload Compliance Policies to Intune. The new device compliance policy settings allows us to more check on more security related settings on a Windows 10 devices. 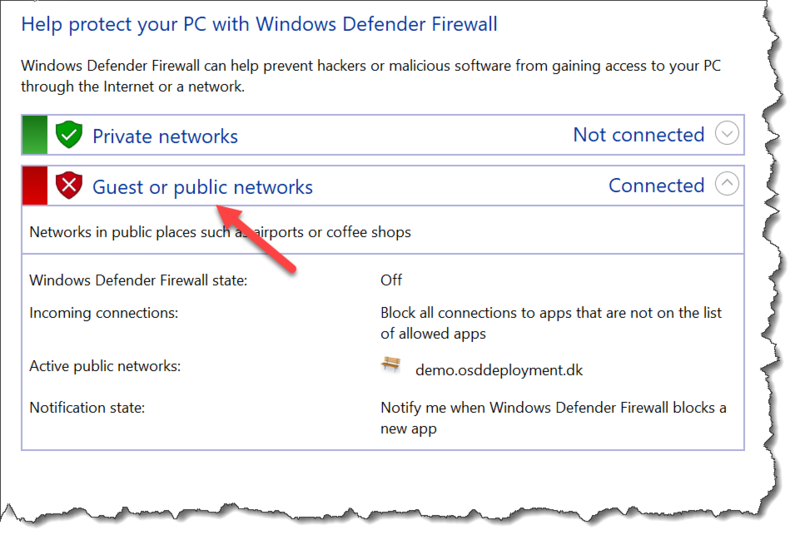 Firewall : Require Firewall to be on and monitoring. User Account Control (UAC) : Require User Account Control to help prevent potientially harmful programs from making changes on to the device. Note: When using “Windows Defender Antimalware signature up-to date” remember that the signature is updated multiple times a day! There are a new setting for compliance status!! Mark devices with no compliance policy assigned as: Depending on the number of devices and users in your organization, this change may take some time to take effect. Enhanced jailbreak detection: Enhanced detection uses the device’s Location Services to trigger device check-in and jailbreak evaluation with Intune more frequently. User location data is not stored by intune. This may impact battery life. Compliance status validity period (days): Specify the time period in witch devices must report the status for all received compliance policies. Devices that do not return status within this time period are treated as noncompliant. The default value is 30 days. What is the user experience with a non compliant device ?? 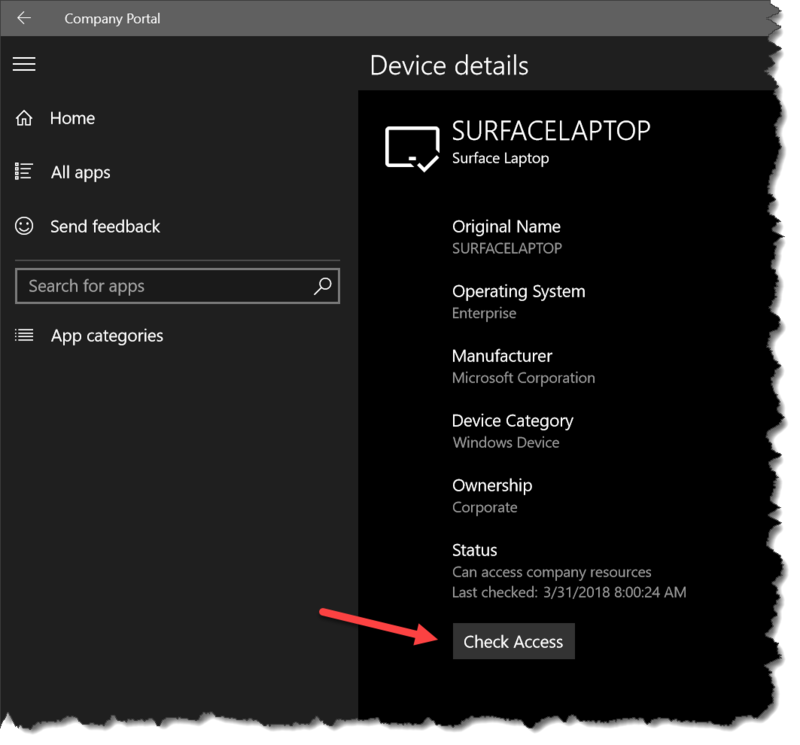 In the Company Portal on Windows 10 the end user can “Check Access” to see if it allowed to access company resources that are protected by Conditional Access. When you start testing the new compliance policy for Windows 10 – try it on for a pilot group before going company-wide with this new features, if you by mistake mark an end-users devices as non-compliant they will not be able to get access to company data! 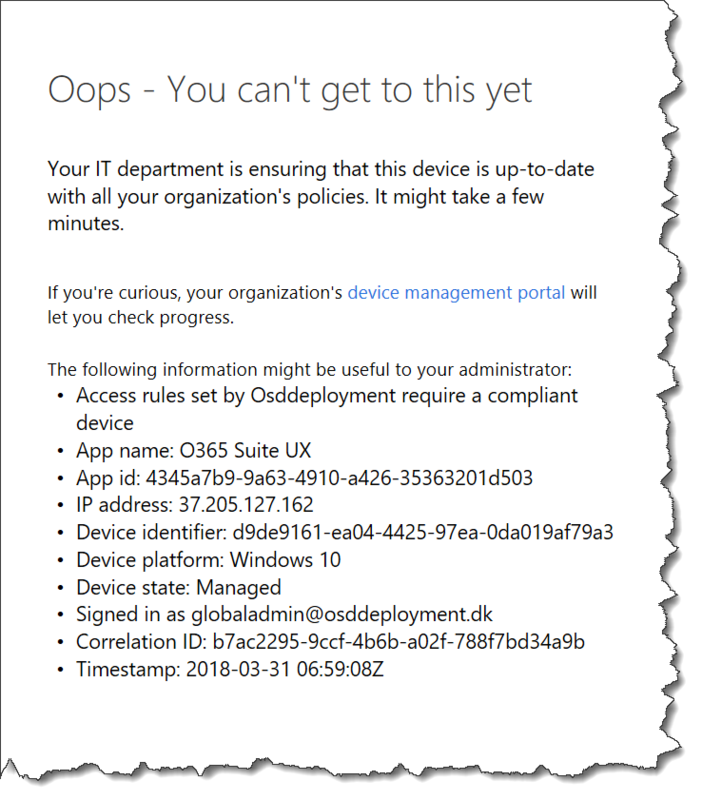 This concludes this post by David Papkin about the Windows Intune new conditional access compliance settings in Windows 10.